The 2017 legislative session is well underway, and our team is working hard on behalf of all Marylanders! This year we have proposed a robust, comprehensive, and common sense legislative package that includes 33 initiatives promoting economic growth and job creation to record funding for education. Some of our most recently announced initiatives include efforts to fight heroin and opioid addiction, ethics reform for our elected representatives, and a new program that will finally bring stability to our state pension system. To see the full list of our priorities, click here. I was elected to focus on Maryland and to do everything I could to make our state the best place to live, work, and raise a family. I will never take my eye off that ball. Just days before giving my third State of the State Address, the First Lady and I were very proud to announce the birth of our first grandson, Cam Sterling! He was born on January 6, but was rushed to the Neonatal Intensive Care Unit at the University of Maryland Medical Center in Baltimore where he spent the week. He is now doing great and home with his Mom and Dad! To see more photos, click here. As we continue to work hard this session and plan for the year ahead, stay tuned to future newsletters for a firsthand look at the progress we are making to Change Maryland for the Better. 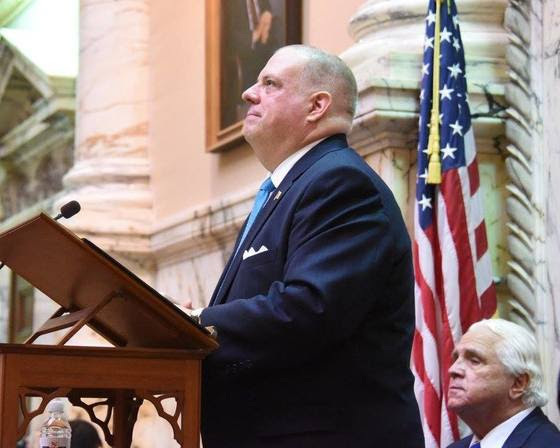 On February 1, Governor Hogan delivered his third State of the State Address, entitled “Real and Lasting Change.” To see the full, closed-captioned speech, click here. Governor Hogan gives his third State of the State Address at the State House in Annapolis. 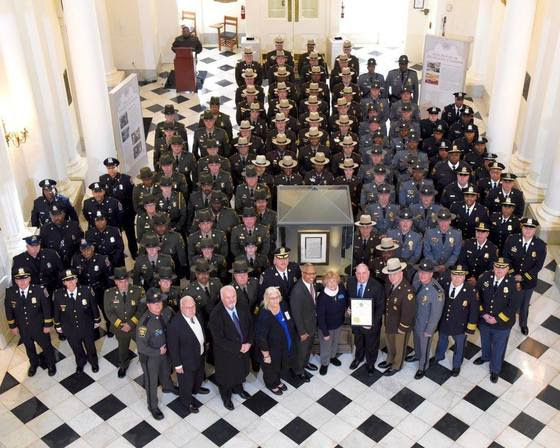 Governor Larry Hogan issued a statewide proclamation declaring Monday, January 9, 2017 as Law Enforcement Appreciation Day in Maryland. National Law Enforcement Day is acknowledged annually on January 9, when states and organizations across the country show their support for our nation’s law enforcement officers. 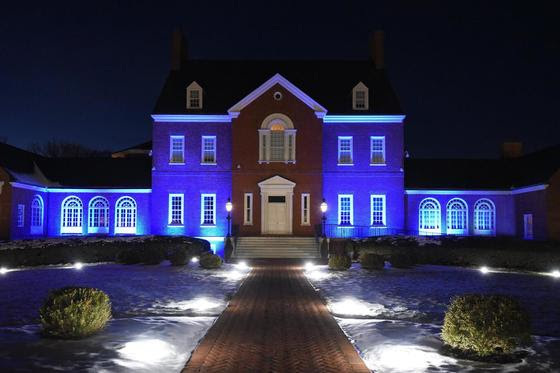 Government House was also lit blue on the evening of January 9 in recognition and support of Maryland’s law enforcement officials. Government House lit blue in recognition of Law Enforcement Appreciation Day on January 9. “It was my sincere privilege to attend the Polar Bear Plunge and present the Jimmy Myrick Jr. Governor’s Courage Award. 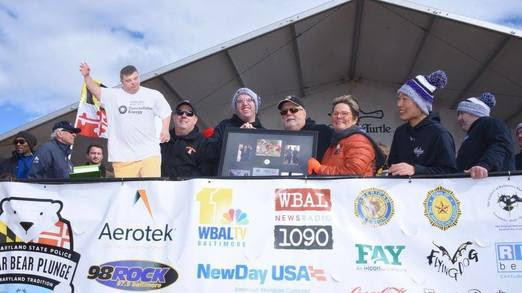 Last year, I had the honor of presenting the Governor’s Courage Award to my next door neighbor in the hospital: Jimmy Myrick Jr., a Super Plunger in the Polar Bear Plunge who had Down syndrome and faced leukemia. 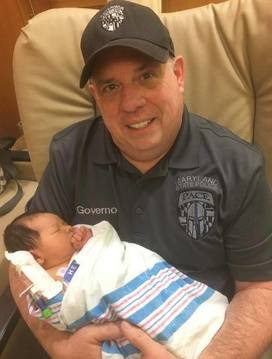 Governor Hogan presents the Governor’s Jimmy Myrick Jr. Courage Award to Adam Hays at the Polar Bear Plunge. Governor Larry Hogan issued a statewide proclamation celebrating Korean American Day in Maryland. The proclamation was presented to Korean American leaders at a ceremony in recognition of the significant contributions of the Korean American community to Maryland and the United States. Korean American Day is acknowledged annually on January 13, commemorating the day in 1903 when the first Korean immigrants arrived to America in Honolulu, Hawaii. This year marks the 114th anniversary of their arrival. 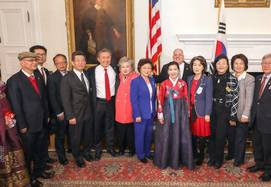 Governor Hogan and First Lady Yumi Hogan shared in the celebration by hosting a reception for members of the Korean American community, including Consul General Dong Gi Kim, members of the Korean Embassy, and leaders in the Korean American community, at the State House in Annapolis. To see photos, click here. Amazon announced plans to open a 1.2 million-square-foot fulfillment center in North East, Maryland. Amazon currently employs more than 3,000 associates at its fulfillment and sortation centers in Baltimore and plans to create 700 new positions at its third Maryland facility. 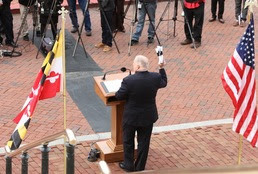 Standing on the steps of the historic Maryland State House, Governor Larry Hogan unveiled a series of sweeping ethics reform proposals to target conflicts of interest and corruption among state officials, increase transparency and public access to state government, and reform the county liquor board nominating process following a string of fraud and bribery scandals. In addition to these ethics-related proposals, the governor affirmed that he will again push to end partisan gerrymandering and finally ensure free and fair elections for all Marylanders through nonpartisan redistricting reform. To learn more about the components of the Integrity in Government Initiative, visit www.bit.do/MDIntegrity. Governor Hogan honored 34 families that have farmed the same land for at least 100 years and continue to contribute to Maryland’s vibrant agricultural industry today as part of the Century Farm Program! Click here to see photos.